I first noticed Emilio Pucci when Kendall Jenner wore a beautiful monochrome jumpsuit by the fashion house to the British Fashion Awards in 2014. She looked absolutely incredible. 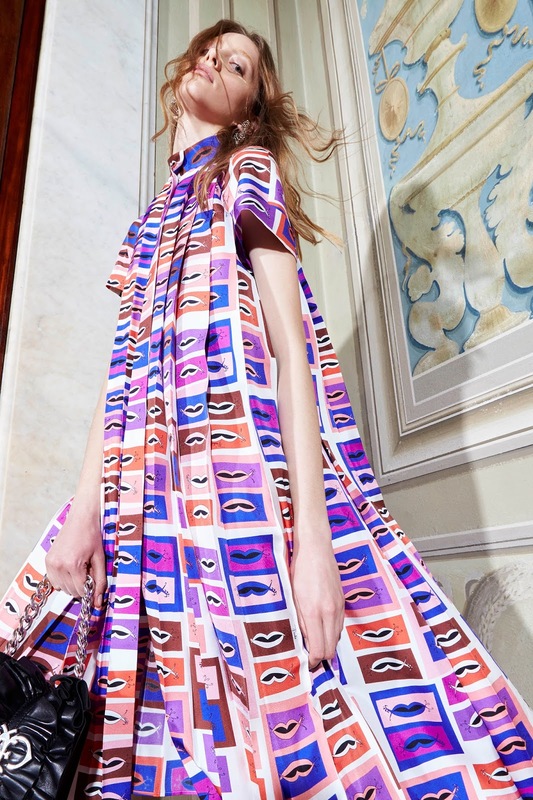 Initially, I didn't know who the design was, but when I learnt it was by Emilio Pucci - I kept my eye on the brand. This collection was particularly appealing to me. It was very flamboyant, bold and unique. 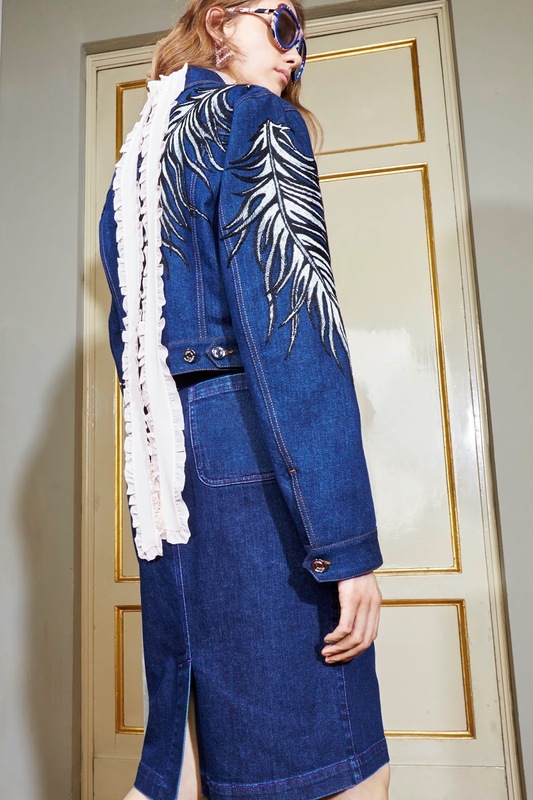 The colour in this collection was incredible, captivating and perfect for the style of clothing that Massimo Giorgetti (The house's Creative Director) was presenting us this Pre-Fall 2016. 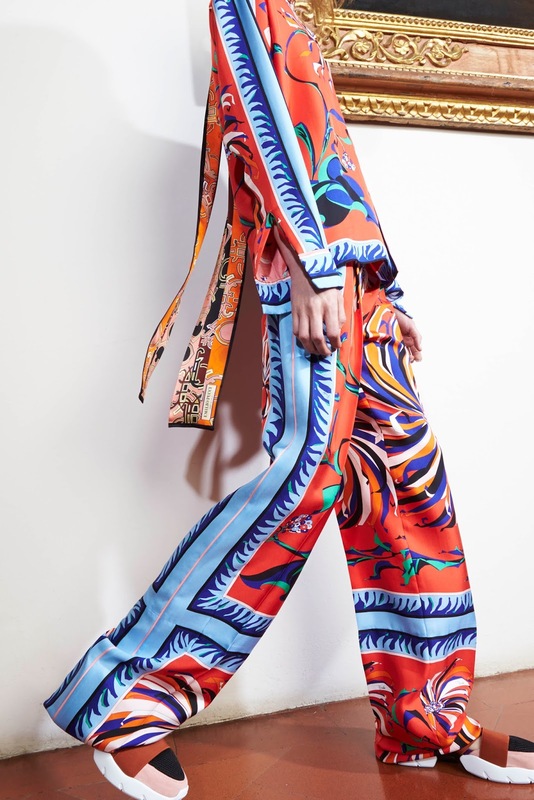 Massimo Giorgetti as a designer is very involved with daywear designs and casual looks that us women can wear on a daily basis, which may be the complete opposite to the usually glamorous brand image of Emilio Pucci. 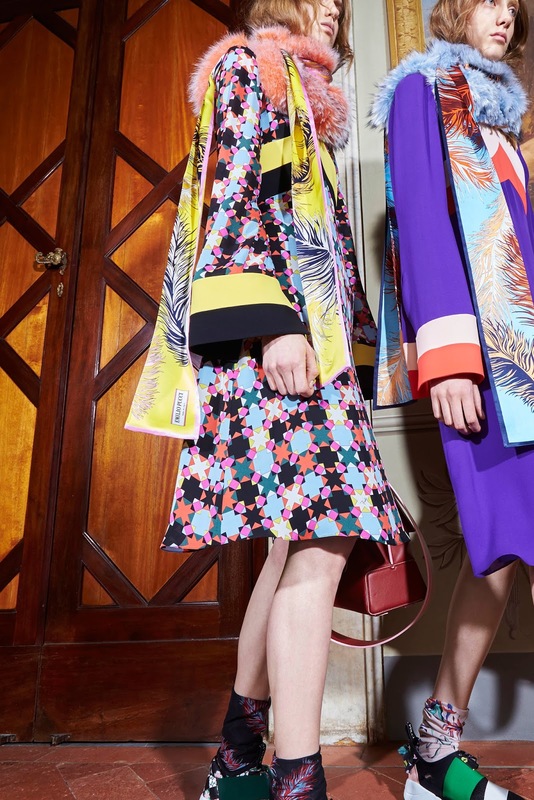 However, Emilio Pucci and Massimo Giorgetti is a match made in heaven and I think this collection proves that. The young designer is said to love active and sportswear too which has also been founded in the house's earlier work. So the similarities between the designer and the brand's previous look probably made the collaboration even better. Kendall Jenner wearing Emilio Pucci at the British Fashion Awards 2015. 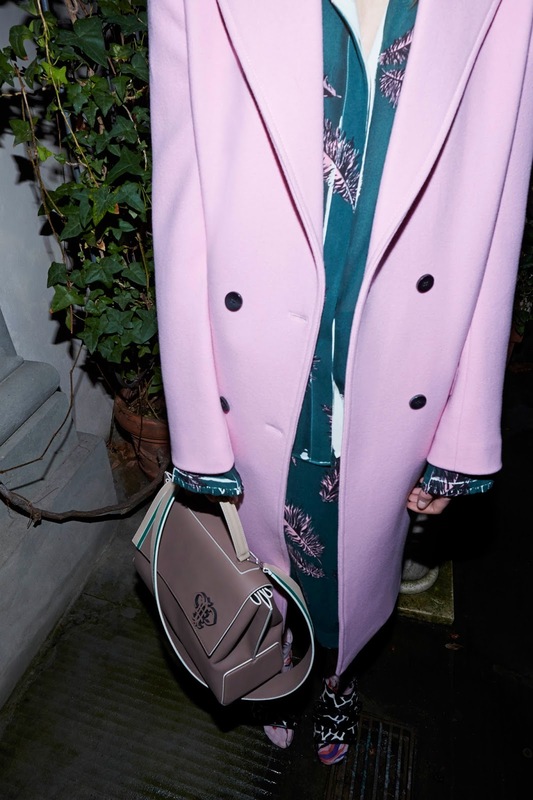 The Pre-Fall 2016 collection was previewed at a showroom in Milan. He had used some inspiration from the brand's previous collections and somewhat "revamped" them into something different, such as the skiwear feel. He used the brand's classic V neck sweaters and polo neck jumpers in the collection, contrasting these casual pieces against geometric patterned pink and purple bags and pastel pink skirts with a floral print. 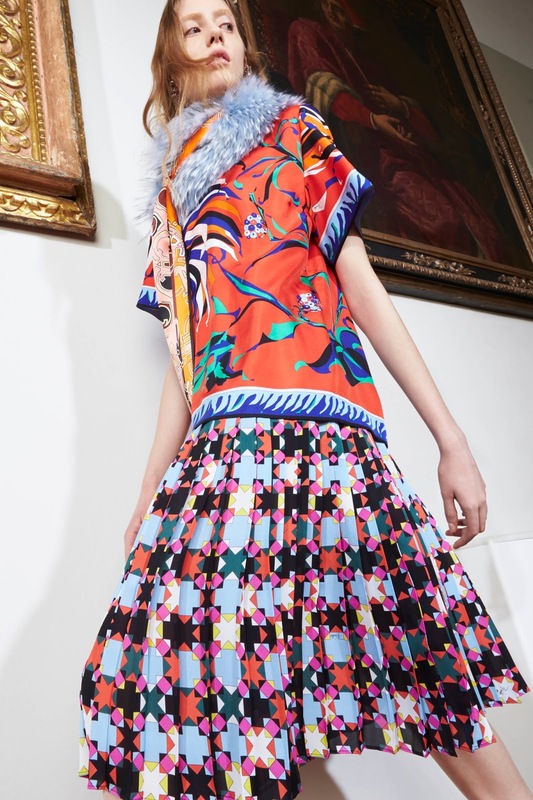 There was so much colour and print clashing going on in the collection which is definitely for the brave, but it was executed in such a way that is inviting to wear. 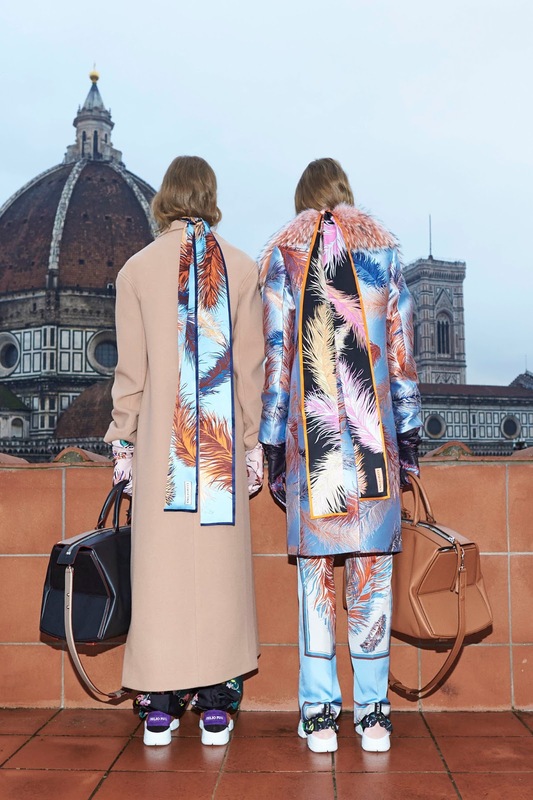 I loved the striped fur coat with the contrasting zebra printed belt - making a statement is the way forward with Emilio Pucci this season. He also incorporated tailoring into this somewhat eccentric collection. From slimline double breasted coats in camel, to cigarette trousers that were wide at the bottom - the look was more relaxed of course, teamed with a turtle neck jumper with a feather print and flat shoes. He brought the flamboyant feel and the tailoring style together with a gorgeous black oversized blazer, covered in floral and lip prints which kind of resembled a Diane von Furstenberg creation, giving the collection a fun mood. 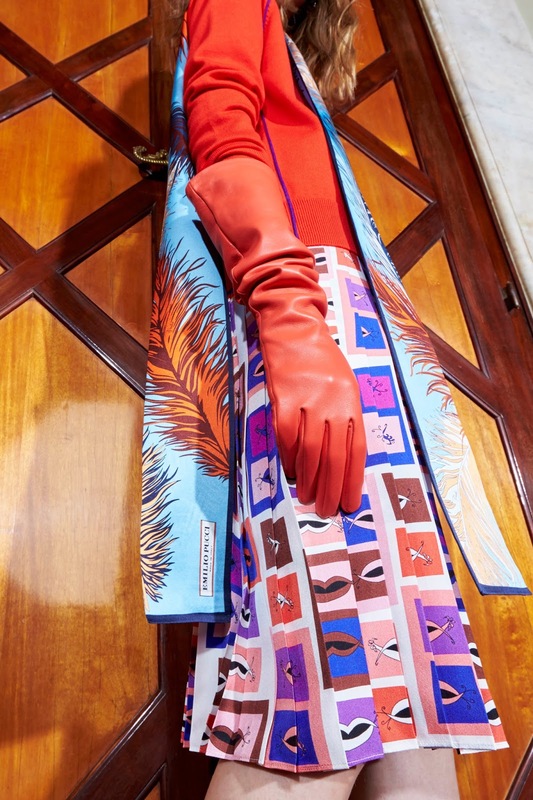 It was evident to me that Massimo wanted to please the loyal clients of Emilio Pucci but also bring something different to the table to attract a new customer to the brand, giving it a boost with this bold collection. It was brave of course, but he nailed it.